As Little Rock, Arkansas most dedicated pool builder and contractor we realize that True Quality combines the best products and the best service at a fair price. 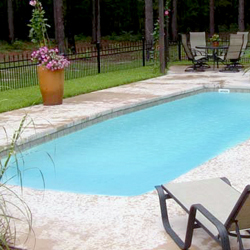 Whether you need a fiberglass or concrete pool or spa, we are dedicated to giving you the best. 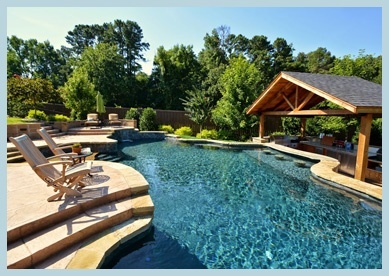 We have been building stunning inground pools in Little Rock, Arkansas and the surrounding areas for over 17 years. Whether your project is simple or sophisticated, we have the best products and most highly trained personnel in the industry. From design to construction, we have the knowledge and expertise to build your dream. We believe that out of all the swimming pool companies in Little Rock, we can offer you the best blend of experience, quality, service and affordabitly. 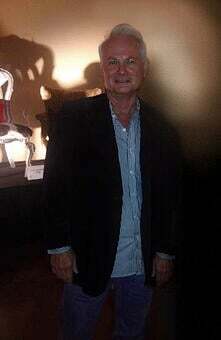 The information you obtain here can save you both time and money on your upcoming project. We design and build concrete pools, and install fiberglass pools. In some situations, the ease of installation and simplicity make fiberglass your best choice. If, however, you need a shape or floor configuration that is not available in fiberglass, or your pool is used to provide structural support for yard elevations, concrete pools (using gunite) is your best solution. If you are looking for ideas and resources to create The Yard of Your Dreams, you have come to the right place. Here you will find our gallery of pool photos, yard ideas, pool ideas, information about when to buy a pool, fiberglass pool pricing guidelines, a few words about our company, and how to reach us. We also invite you to take advantage of our unique Yardscape Design Guide to help you plan your entire yard. With our trucks in the field, our own crews and professional office support, we can provide you with a complete project, not just a pool. In your search for a unique, high quality pool or spa, you have arrived. At Parrot Bay, we don't run ads in magazines, nor do TV commercials, we just rely on our reputation and our design / craftmanship to do our talking. With over hundreds of gunite pools constructed in the Arkansas area, we can show you one example after another which speaks for itself. Our business is mainly referral based, over 70% of new customers are referred to us by our customers. The design plaques above, awarded to Parrot Bay Pools by the Association of Pool and Spa Professionals (APSP) are an example of our efforts. Let us show you how we can design a poolscape that has it's own personality for your enjoyment.